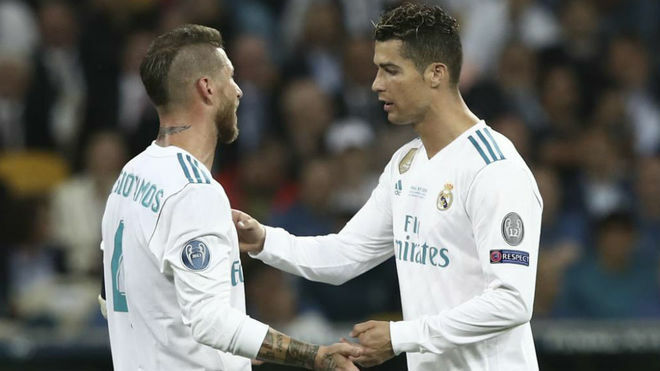 Sergio Ramos acted immediately after news broke that Cristiano Ronaldo was publicly considering his Real Madrid future, the captain reminding him to take a step back following the furore. Almost no one had expected the Portuguese forward to pour doubt over his continuity at Los Blancos so soon after the Champions League final was won. And after the squad retreated into the dressing room to continue their celebrations, it is understood that Ramos approached Ronaldo as soon as he caught wind of his comments to the media. “It isn’t good what you have done, it wasn’t the right time to say it,” he told the winger. “Wait. Do not insist. You have to take a step back and we will help you. Shortly after, Ronaldo spoke in the mixed zone and recognised that it wasn’t the time to bring up his own personal problems, however he maintained the doubts over his future and sought to clarify them in the coming days. For Ramos, it was another example of his authority as the right hand man to Madrid president Florentino Perez. The centre-back considers it his duty to put out fires and solve problems within the dressing room, although the approach to dealing with Gareth Bale’s grievances has been different given the clear intentions of the Welsh winger.